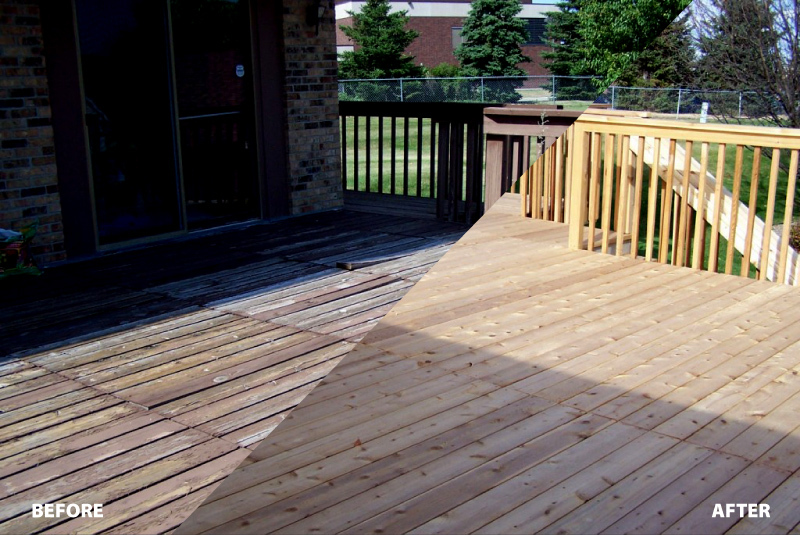 Whether you are looking to install a new deck or rebuild an existing one, BEI Exterior Maintenance has the deck options you want. Choose the materials that best fit your residential or commercial building’s style – from natural wood to a variety of maintenance-free composites. BEI will inspect your existing deck structure and make repairs necessary to correct fastener, footing, or flashing deficiencies. DecTec® Deck Membranes are resistant to more than just water. The unique fiberglass reinforcement provides maximum fire resistant safety. This quality commercial grade PVC roof membrane meets all Minnesota Building Codes. Formulated to protect against delamination, its durability is backed by a 20-year warranty. Enhance your curb appeal while reducing maintenance time and costs. When people think about decks, most picture the railing surrounding the deck before they think of the look of the deck itself. One of the most visible aspects of a deck or balcony, railing systems come in a wide variety of styles and materials. At BEI Exterior Maintenance we can help you coordinate the look of your railing system to complement the exterior design of your building and landscape. Add personality to the exterior of your residential or commercial building with distinctive railing designs and materials. Update the look of your deck, balcony, or stairway by adding or replacing your current railing system.